Music is an important part of the Lutheran tradition and at Christ Church Music draws, not only on the historical past, but takes the best of the old and adds the new to create an exciting and worshipful experience. 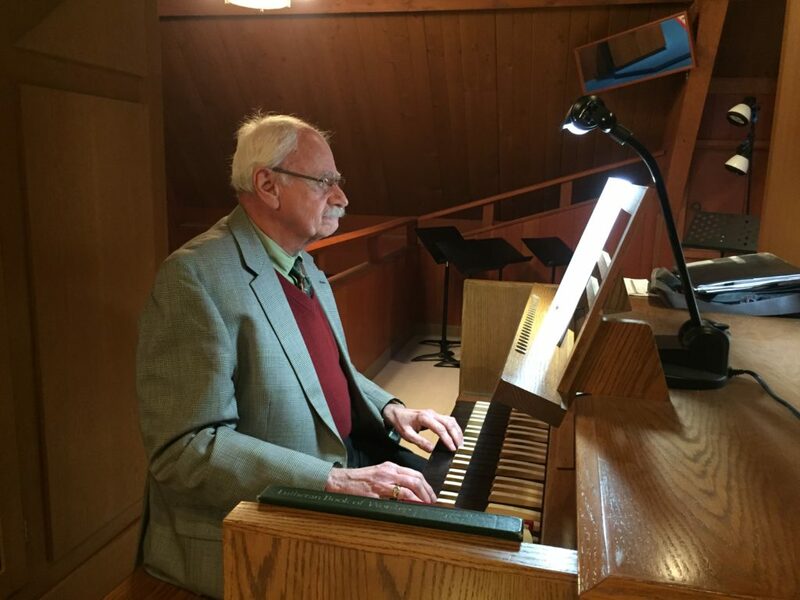 Pastor Tom McQueen, Minister of Music, combines organ, piano, and many talented instrumentalists and singers in our congregation and community, to assist in providing a diverse and appropriate worship setting. Our Bosch organ was originally built in 1967 by the Werner-Bosch Organ Manufacturing Company of Kassel, Germany and eventually found a home at Christ Church after providing wonderful music in other settings. 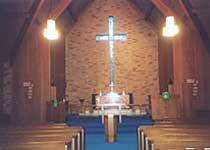 The organ was built for the Frawley Memorial Chapel, at the Lone Mountain College of Women, in San Francisco. The college closed in 1978, and was purchased by the University of San Francisco, which later determined that the Chapel would be renovated into a classroom auditorium. The purchase of the 34-rank instrument took place in 1995, and under the direction of John West, builder, maintainer and tuner of organs in California, and his assistant, James Mueller, it was relocated to Christ Church. Mr. West had originally installed this Bosch organ in its first home at Lone Mountain College for Women. Its redesign and installation was an extensive process. The upper-rear section of pipes was placed behind the console, extending from the balcony, and turning the section into what is called a ‘Ruckpositiv’. Fiberglass wires were installed, making the organ (except for the pedal section) ‘tracker action’ as organswere originally made. Tracker actions give the organist an immediate response from the pipes without the millisecond delay found in keyboards connected to the pipes by electrical circuitry. Pipes needed to be revoiced and a few even replaced to fit the acoustical quality of the organ’s new home. A new console and cabinets were created. 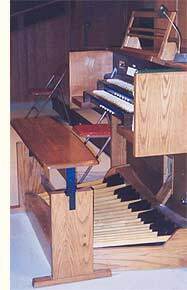 The organ as we see it today has two manuals and pedal, 24 stops, 34 ranks, electric action, slider chests, a detached rocking-tab console, wind-pressure is 2.25″ and 1,597 pipes.